Sit down with your spouse and ask each other questions about what kind of culture you want to create in your relationship. We love the concept of family crests, and we’ve been trying to sketch one of our own. Constantino wanted it to include a skyscraper for his adopted hometown of New York, and David wanted a palm tree for Southern California, where he grew up. Add to that a bridge for Portland, where we’ve set down roots, and we got, well, a jumbled mess. We’re still working on it. But the activity highlights the way in which we want to craft an identity as a family, and how we want to form an intentional culture in our marriage. The crest will hopefully one day supplement our main project: a culture covenant. At our wedding, we had guests sign a marriage covenant as witnesses to the vows we had made to each other. That covenant covered our basic promises of commitment to each other, but we wanted something more—something that stated who we were as a couple and what we wanted our day-to-day marriage to look like throughout a lifetime. Constantino was particularly concerned about this because he had been in a committed relationship that ran on autopilot and crashed after nine years. And so we came up with the idea of a culture covenant—a written list of our values as a couple and family. It’s one of the best ways we’ve found to create shared meaning. 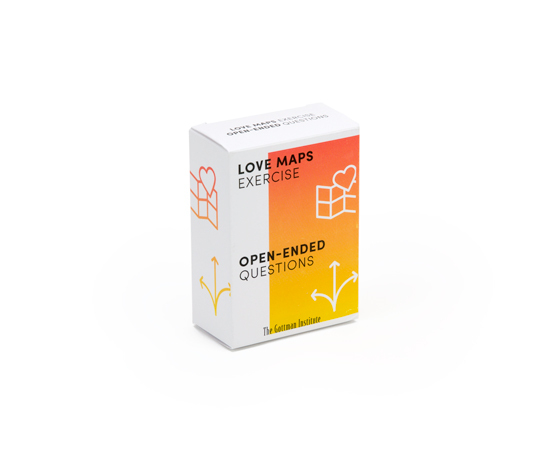 It’s also a great activity to improve your Love Maps. Essentially, it puts into words the underlying dynamics couples don’t usually talk about. It empowers us to direct our marriage rather than falling back on habits and learned behaviors. What is family culture? It’s the unspoken rules and ways of interacting with each other that shape interpersonal dynamics. All families and couples have a culture, whether or not it is intentionally crafted. There are loud families, where raucous laughter may be as common as angry shouting matches. There are intimate families, which may have an abundance of physical affection and emotional expression but may lack healthy boundaries. There are prim-and-proper families, which may be traditional and well-educated, but struggle to tap into their playful sides. We value time, touch, and talk: the three T’s that are the magic recipe for creating intimacy. We do not shout or curse at each other. If we get close to doing either, we take a break, make amends, and start over. We are a team, so we always take each other’s side and always have each other’s back. We show physical affection. We kiss every time we leave and greet each other because even small expressions of love are a reminder of our exclusive and special form of kinship. This culture covenant isn’t a rulebook. It’s not a weapon to coerce or guilt someone. It is a map of sorts for an abstract road, an aid to guide us through the seasons of life. If we begin to drift away from each other or go on autopilot in our relationship, we can turn back to our list to remind us of who we want to be. Unlike our marriage covenant, which we sealed with our vows, our culture covenant is a living document—it may change over time as we change and our priorities shift. But if it does, we’ll talk about it and make those decisions together. If you’re looking for an activity to help create meaning in your marriage, make your own culture covenant. Sit down with your spouse, take pen to paper, and ask each other questions about what kind of culture you want to create in your relationship. What is your current family culture, and what would you like it to be? What specific values can you agree upon that will help you get there? Even if you never come up with a design for a crest to identify your family, a culture covenant will always remind you who you are.